Contact Myah Duncan, JCPS community relations, about any of the following student and staff recognition opportunities: (502) 485-7653 or myah.duncan@jefferson.kyschools.us. 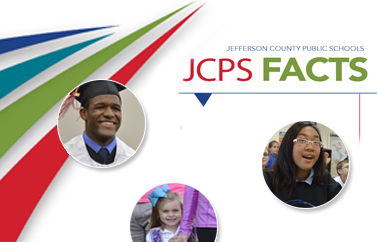 JCPS students and staff members who win a first-, second-, or third-place award in a state or national contest may be recognized during a Jefferson County Board of Education (JCBE) meeting. These meetings are typically held every second and fourth week during the school year. Students also may give demonstrations to show JCBE members what they are learning. 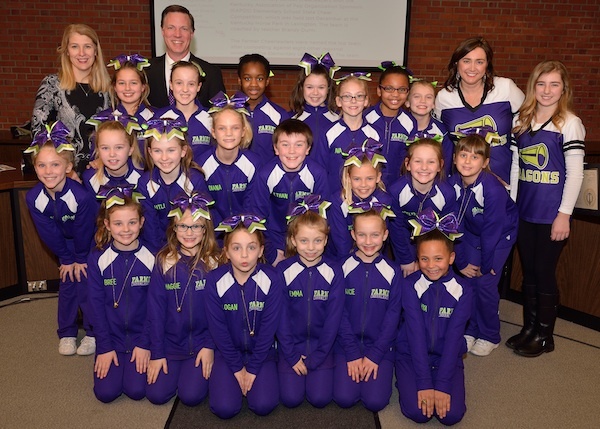 All meetings are televised on Time Warner Cable channel 98, and video highlights of the recognitions are posted on YouTube. To make a recognition recommendation, fill out the Board of Education Recognition Recommendation Form. Exemplify teaching excellence using innovation, excitement, and enthusiasm in their instructional methodology. Maintain meaningful personal relationships with students, parents, colleagues, and community members. Serve as role models of professionalism and citizenry. Maintain a commitment to continued professional development and enhancement. Winners of the ExCEL Award are honored at a ceremony at their school and receive a $1,000 instructional grant from LG&E KU. These scholarships honor high school seniors throughout Jefferson County who have demonstrated exceptional leadership, character, and citizenship. Prior to his death in 1999, Henry V. Heuser Sr. established an endowed fund at the Community Foundation of Louisville to provide the $10,000 scholarships annually to remarkable JCPS high school seniors. This special award honors exceptional students throughout Jefferson County who have demonstrated high standards of scholarship, leadership, character, and citizenship. Including this year, more than $2.7 million has been awarded to 278 students. Henry V. Heuser Jr. hosts an awards luncheon in March to present the scholarships. He typically is joined by Louisville’s mayor, the JCPS superintendent, principals, more than 100 business and community leaders, and several university and college presidents who contribute additional scholarship incentives if the awardees attend their college. The students are selected based on SAT/ACT scores and cumulative grade point averages (GPAs) as well as examples of community and campus leadership, participation in extracurricular activities, and recommendations from principals and community leaders.